So, is these scores here with or without premium? Some are with doubles, some with premium, and some are the score without any bonuses so this is confusing...i quess it depends who sends the score ;) Nice round anyways. Sorry, I started writing an answer yesterday but forgot to submit! :) Submissions should have the XP shown in the screenshot as "With premium", minus any bonus xp from medals or events, and divided by the appropriate amount (This submission it would be 5). This score is a 100% correct submission. If there is anything unclear about a submission, please comment on it and I will try to take a look. 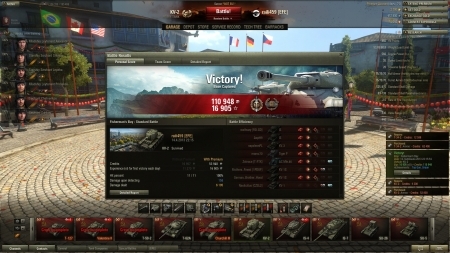 http://worldoftanks.eu/news/7248-razers-edge-contest-winners/ - this round apparently was enough for 2k gold, Type 59 and mousepad.